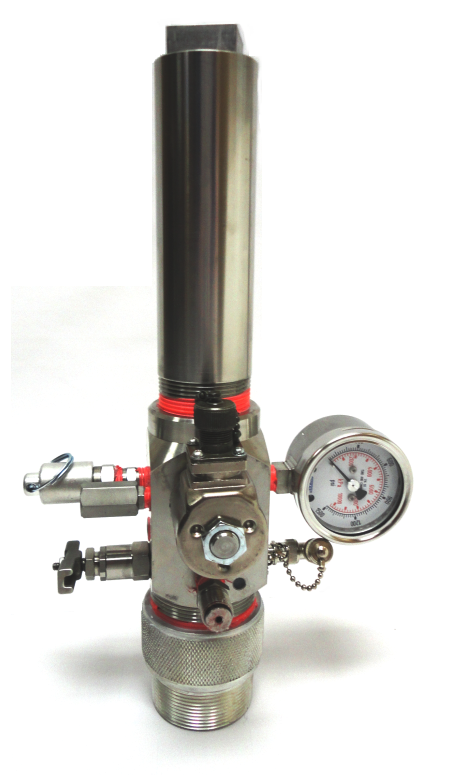 Intended for use with Acoustic Liquid Level Instruments. Assemblies consist of single unit gas gun and microphone. Our gas guns are safer, more cost effective, and perform more efficiently than black powder guns. Black powder guns have caused explosions of wellbore gas when oxygen was allowed to enter the wellbore. Such an explosion occurred in 1996 and caused damage to the casing and the environment. Further information is available by request. A Gun-Microphone assembly consists of a gun and microphone together. A gun generates a pressure pulse. A microphone converts acoustic pressure pulses into an electrical signal. The gun and microphone are normally supplied together as a unit. The gun generates a single pressure pulse which travels down the casing annulus gas and is reflected by collars and the liquid level. The reflected pressure waves deflect the microphone and generate an electrical signal. The electrical signal, is fed to the computerized Well Analyzer which automatically processes the signal or to an amplifier-recorder which amplifies, filters and records the signals on a strip chart. 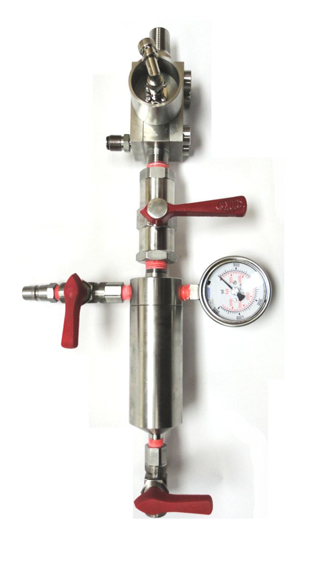 Two important factors must be considered when selecting the type of gas gun. First, the gun should generate a pressure pulse that results in the collars being counted as far down the well as possible. Second, the gun must generate a pressure pulse of sufficient strength to cause the reflected pressure wave from the liquid level to be readily distinguishable. The reflected liquid level pressure wave is larger when the volume or pressure of gas discharged into the casing annulus is increased. On deep, slim hole, low pressure wells, the liquid level response may be weak unless a large initial pressure pulse is used. 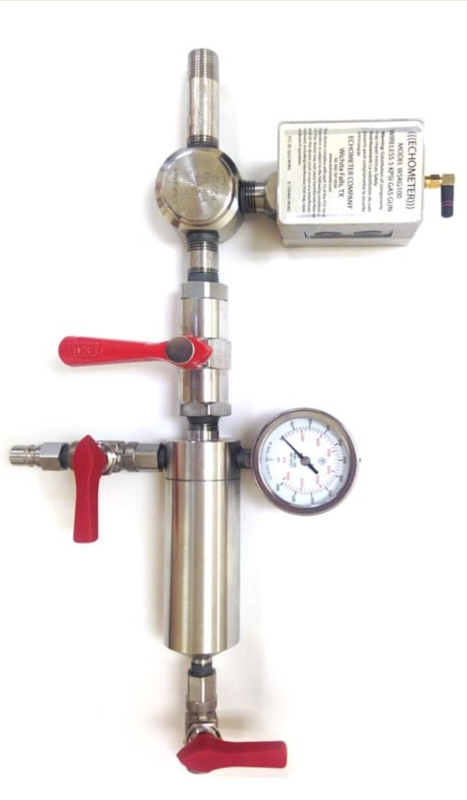 To view the wired Gas Gun Brochure click here.